9.3x62mm mauser: In 1905, divergent global energies mingled and coalesced in curious and far-reaching ways, much like they did about a hundred years later. Most American shooters have never even heard of the best rifle cartridge in the world. In 1905, divergent global energies mingled and coalesced in curious and far-reaching ways, much like they did about a hundred years later. Geronimo, chief of the Chiricahua Apaches, with the blood of countless pioneer men, women and children on his hands, was an honored guest at Theodore Roosevelt’s presidential inauguration celebration. This was the first time Roosevelt had actually been elected even though he had served as president for three years, ever since President McKinley died from incurable gangrene caused by gunshot wounds inflicted by socialist-anarchist Leon Czolgosz, aka Fred Nieman, son of Polish-Russian immigrants. The first chapter of the Russian Revolution opened in January of 1905 on a “Bloody Sunday” in St. Petersburg (whose name the Communists would later change to Leningrad and independent Russians would finally change back again) and shortly thereafter the Russian army lost 90,000 men in one battle to seal its fate in the war with Japan. German-born theoretical physicist Albert Einstein proposed his Special Theory Of Relativity, which is just now coming into dispute, the revolutionary pocket clip was invented for fountain pens, Arthur MacDonald broke the 100-mile-per-hour speed barrier at Daytona driving a British-designed American-built Napier in-line six, and the city of Las Vegas was officially founded after having been occupied by Indians for 2300 years. In Africa, the Cairo to Capetown railway opened and whites in South Africa won the right to vote. A great drought threatened much of east Africa, and the natives were growing increasingly restless. British colonies, including Kenya, Uganda and Zanzibar, were endangered. German colonies, which consisted of present-day Tanzania, Rwanda, Burundi, parts of Mozambique, Namibia, Cameroon, Ghana and Togo, were not only threatened and endangered but were directly attacked. A major rebellion broke out in the Matumbi Hills of southern Tanzania and the German colonists bore the brunt of a bloody revolt that quickly became a full-blown war. The Africans fought the Germans fearlessly because they possessed a secret weapon which they sprinkled directly on their bodies -– snake oil, actually -– a mixture of water, castor oil and millet seeds imbued with the spirit of a snake which a prominent witch doctor claimed would turn German bullets into water. The Maji Maji Rebellion (maji means water in Swahili) was soon over, but not before thousands of German settlers, farmers, planters and missionaries had been speared and hacked to death and almost 150,000 soaking-wet Africans had been shot and killed. In Europe in 1905, two people were born who would make a lasting impact on Western concepts of mystical beauty and brute force. Greta (Gustaffson) Garbo was born in Sweden. And Max Schmeling was born in Germany. In the same year under the same stars was the 9.3x62mm Mauser born. Previously, the only rifles suitable for the full range of African shooting challenges, that is, angry elephant to predatory human to meat-on-the-table, were double rifles of British or German manufacture which were quite expensive even in those days. The brilliantly practical 1898 Mauser turnbolt had as yet only been chambered in smallbore military cartridges of marginal effectiveness on anything beyond thin-skinned bipeds. Berlin gunmaker Otto Bock changed all that when he developed the rimless 9.3x62mm cartridge and chambered it in the bolt-action Mauser ‘98. Practicality and power were suddenly one and the same. The 9.3x62 fires a .366” bullet, typically of 286 grains with high sectional density, though bullets as heavy as 300 grains and as light as 232 grains may also be loaded. Standard velocity of the 286-grain bullet in factory loadings, then and now, is about 2350 fps, though hand loading can produce considerably higher velocities with no pressure problems. 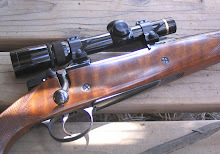 The cartridge –- with a case length of 2.42” and rim diameter of .470” -– fits the standard Mauser action, whether commercial or military, and produces an abundance of large-animal penetration and killing power with modest recoil. Thus you have elegant ballistic performance in a relatively light and eminently shootable rifle. Classic grace and beauty of line are intrinsic values in most of the rifles designed around this cartridge. Other cartridges with 9.3mm bore size were being produced at about the same time more or less, including the 9.3x57mm Mauser, 9.3x64mm Brenneke and a couple of rimmed 9.3s for single-shot and double-barrel rifles, notably the 9.3x74Rmm. But it was the 9.3x62mm chambered in a Mauser action that pioneered a new age of rifles that were highly effective in the widest possible variety of crucial roles. In one of those rare cases of the better mousetrap winning out, the 9.3x62 soon became the most widely used non-military gun throughout Africa, not only among German colonists but by just about anybody who depended on their rifle as a primary tool. The 9.3x62 was used with great success on everything from elephant to rhinoceros to buffalo to lion and everything on down. 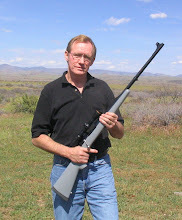 In the days when hunters were not usually backed up by professionals armed with specialized stopping rifles, John “Pondoro” Taylor wrote that the 9.3x62 was suitable for everything except following up wounded elephant in thick cover, a hazardous operation for which Taylor recommended only a rifle with so much literal knock-out power that a head shot that missed the brain would still take a charging elephant off its feet and render it unconscious long enough for the coup de grace to be carefully delivered. But under normal hunting conditions, more open country where shots over 20 meters were the norm, even the professional elephant hunting fraternity warmly embraced the 9.3x62mm. The powerful little gun remains one of the most popular calibers in Africa. Even most of those countries who instituted a minimum 375-caliber requirement for pachyderms exempted the 9.3 because nobody in his right mind could argue that the rifle had not proved time and time again that it was up to anything it might be called upon to do. The 9.3x62 inspired other great rifles, including the British .375 Holland & Holland Magnum which finally replaced the 9.3 as the most widely used rifle in Africa. But the .375’s emergence into first-place position had more to do with world wars, punitive treaties, the seizing of German colonies, destruction of the German arms industry and the shutting down of ammunition production than with comparative rifle ballistics. 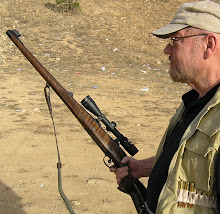 The superiority of the .375 H&H over the 9.3x62 is more impressive on paper than in the bush according to many African hunters I’ve talked to, some of whom much prefer the 9.3x62 over the .375 H&H because its slightly lower velocity can deliver ideal penetration on buffalo with lighter recoil in a handier rifle, with the added benefits of lower chamber pressure and lower back-thrust pressure which are always considerations in hot-weather hunting. 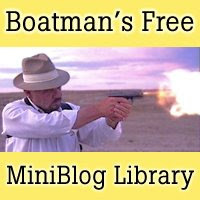 The 9.3x62 was also the direct inspiration for the .35 Whelen (and indirectly the Whelen’s ballistic twin, the .350 Remington Magnum), a 358-caliber round which many experienced big-game hunters consider the best big-game cartridge ever developed in America and which, perhaps surprisingly, has an excellent record on African dangerous game as well. The 9.3x62 is still the premier big-game cartridge in Europe, where wild boar, red stag and Scandinavian moose require as much killing as North American elk and brown bear and large African antelope like kudu and eland. Within the last few years, the 9.3 has inspired German-Austrian development of the .376 Steyr and the Finnish 9.3x66mm Sako, both excellent rounds, but sales of rifles chambered in these new cartridges have not set any houses on fire because the improvements they offer over the 9.3x62mm with its blue-blooded pedigree are little to none. No American factory has ever produced a single 9.3x62 rifle, not surprising considering that none of them has ever produced a bolt-action .35 Whelen in significant numbers either. It’s just as well that rifles in both of these calibers are left to America’s great custom riflesmiths and the riflemakers of Europe. The only factory 9.3x62 widely available on the American market these days is made by CZ, or Česká Zbrojovka, the renowned arms maker of the Czech Republic. Ammunition is available in excellent factory and custom loads by Norma, Sellier & Bellot, Prvi Partizan, Lapua, A-Square, Superior Ammunition, Safari Arms, Quality Cartridge and more. And there is no shortage of reloading components. Premium .366” bullets are made by Barnes, Rhino, Nosler, Woodleigh, Stewart, Speer and Swift, to name a few. A friend of mine in Texas, John Paul Jones of Houston, is getting his 9.3x62mm ready for a nilgai antelope hunt. Nilgai are those spooky thousand-pound blue bulls from India and Pakistan that have for decades roamed freely on some of the big exotic game ranches down in south Texas. He’s been testing some European factory ammo –- Czech-made Sellier & Bellot and Serbian-made Prvi Partizan -– in his American-stocked CZ 550. Both the S&B and PP (available from Graf & Sons, www.grafs.com) are loaded with 285-grain soft points. Out of his 23.5” barrel, he’s getting 2330 fps from the S&B and 2285 from the PP. But the PP is also giving him near-MOA accuracy. I suspect it will be the Prvi Partizan that will bring home the nilgai for John Paul Jones. I’m preparing my own 9.3x62mm CZ, the full-stocked schweinsrucken version with a 20.5” barrel, to take on some of the big feral boars in central California. With Africa in the back of my mind and handloads courtesy of Russell Menard of CAM Enterprises (phone: 928-632-8623, email: fiftycalgal@commspeed.net), we’re getting 2350 fps and higher velocities as well as excellent accuracy with both Rhino Solid Shank and Barnes X bullets of 286 grains. It’s pretty clear that, however you roll them, the 9.3x62 will get the job done with singular style. After my brief visit to the People’s Republic, next stop may well be the bushveldt, where there’s no doubt the 9.3 will feel right at home. The 9.3x62mm Mauser, born in the same year under the same stars, is the only cartridge I can think of that embodies the spirits of both. A handier rifle that a 9.3x62mm carbine has never been invented. CZ rifles offer Mauser controlled-round-feed actions and European-style stocks. The 9.3x62mm is a versatile and highly efficient cartridge. Preparing a plate for nilgai steak. Many a wise hunter considers the 9.3x62mm Mauser the best all-around rifle cartridge ever invented. Selection of .366” bullets for the 9.3x62. All have deadly reputations among African hunters. Custom Riflemaker Michael Scherz built the only 9.3x62 I've seen on a synthetic stock. Excellent vintage Husqvarnas can be found in 9.3x62mm at incredibly low prices. 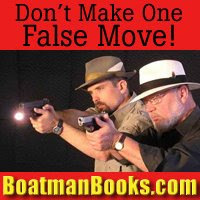 Click here to check out our best-sellers. click here to join the NRA, upgrade or give a gift membership. Click here to read more stories like this one.